Welcome to the website for the Longmont Shambhala meditators. 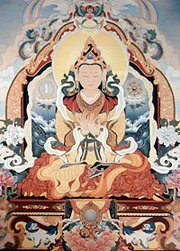 Read about Shambhala on this page. Please join us - Everyone welcome. Thursday evening is from 7-9 pm. Meditation instruction is available for newcomers at 7:00 pm. The evening always includes sitting and walking meditation. Some Thursdays practice is followed at 7:55 pm by a talk. Sometimes there is a reading and discussion instead. The third Thursday of the month is an extended practice of walking and sititing meditation until 8:30 pm, followed by tea and socializing. These are sitting and walking meditation practice intensives. 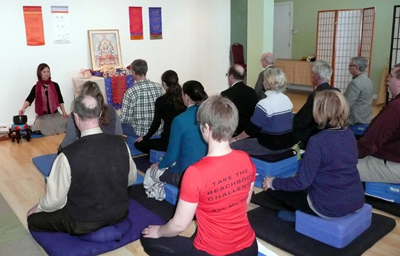 Included is the maitra bhavana practice - a compassion practice for others who are seriously ill or distressed. 10:00-Noon Note new starting time. For any session, if you would like to arrive late or leave early, you are entirely welcome. There is no expectation people have to stay for the entire practice. Use this link to the Members Page to listen to some of the talks that were given by senior teachers on Thursday nights at our regular gathering at The Meditation Place. Enjoy them for the first time -- or hear them again! 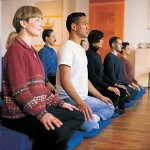 Interested in learning how to meditate? Check back soon for events! When: Third Saturday of the month. 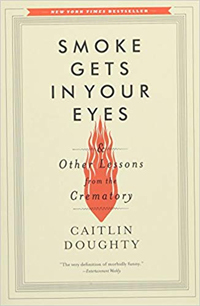 This month we’ll be discussing the book Smoke Gets in Your Eyes by Caitlin Doughty. If you didn’t have time to read the book, that’s okay; you’ll find that you have your own thoughts and feelings to add to the discussion. 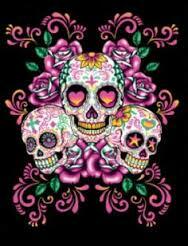 In May we will be visiting The Natural Funeral in Lafayette at our regular meeting time from 2-3:30pm on the 18th. We will get a guided tour of the house and grounds, have tea and have time to ask questions. It will be our first field trip and something not to be missed! Donations are not required but are appreciated. Log on to see photos from our recent activities. 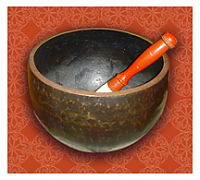 The Longmont Shambhala Meditation Group is a registered 501(c)(3) organization. Use the email above for questions about donating, charges, fundraising, etc. Our Mission Statement: The Longmont Shambhala Meditation Group aspires to create a more harmonious and sane society and a culture of kindness, generosity, and courage. 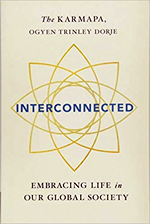 We invite all people to connect with their inherent wisdom and compassion through meditation practice, the study of the Shambhala teachings, and service to the community. are registered service marks of Shambhala International (Vajradhatu).